Education Archives - ZurApps Research Inc. Kids Tell Time is a fun, educational app for kids to learn how to tell time on an analog clock face. Available for the iPhone, iPod or iPad, Kids Tell Time can be downloaded in the App Store. Kids Tell Time was featured as one of the 5 parent and kid-friendly apps to help get you ready for school on Global News. “With digital, everybody sees the numbers are there,” said Cory Herscu, tech expert. Between the grades of Junior Kindergarten and Grade Four, learning to tell time on an analog clock is a standard part of the math curriculum. Available for an Educational Institute discount, Kids Tell Time is a learning app that can be used both at home, and in the classroom. Offering the capability to learn to tell time, in minutes and hours, on both analog and digital clock faces, Kids Tell Time has multiple playing modes to challenge children with various levels of difficulty. 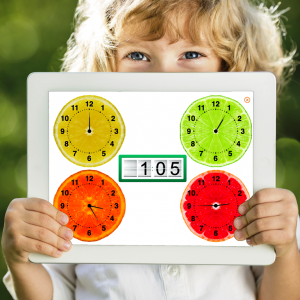 Kids Tell Time is a “kid friendly” app, with verbal instructions given for each playing mode. The narrator guides along the way if the child makes a mistake, by gently advising that the correct answer was not provided and encouraging a second and third try, if needed. With a rewards system in place for all playing modes, children are positively reinforced to continue learning. Learn to Tell Time: The time shows both an analog and digital clock, with the narrator announcing the time shown. Starting at the current time, the child can move the digital clock and/or analog clock arms, and the new time is announced. Both clock faces sync to match. Set the Analog Clock: The digital clock shows a specific time and the child is asked to move the hands on the analog clock to match the digital clock. Upon setting the correct time, a gold star is rewarded. Set the Digital Clock: By reading the analog clock, the child is asked to select the corresponding time on the digital clock. Upon setting the correct time, a gold star is rewarded. Match the Clocks: Four sets of clock faces on digital and analog clocks are displayed in two columns. The child is asked to match the clocks showing the same time. As each set of clocks are matched, they are removed from the screen eliminating them as choices. Upon matching all four clocks, a gold star is rewarded. Choose the Analog Clock: A set of four, colorful, analog clocks are displayed on the screen with one digital clock in the center. The child is asked to tap the analog clock that matches the time displayed on the digital clock. If the wrong analog clock is chosen, it will be removed from the screen. Upon choosing the correct clocks, a gold star is awarded. Choose the Digital Clock: A set of four digital clocks are displayed on the screen with one analog clock in the center. The child is asked to tap the digital clock that matches the time displayed on the analog clock. If the wrong digital clock is chosen, it will be removed from the screen. Upon choosing the correct clocks, a gold star is awarded. Kids Tell Time is available in English, French, or Spanish, Kids Tell Time is available exclusively in the App Store. In the book Outliners, author Malcolm Gladwell introduces the 10,000 hour rule. According to Gladwell, in order to achieve mastery in any field – one must deliberately practice for 10,000 hours. Children learn through repetition, this has been proven. Singing a song multiple times, reading the same story over and over – these actions help with the development of neural paths in the brain and assist with the learning process. The fact that children learn through repetition is not a new theory. Television shows, such as Blue’s Clues, utilize this. Market research was done when creating Blue’s Clues, and across the board – children wanted repetition. Why do you think your toddler’s favorite word is, “Again!”? Their brains crave repetition. 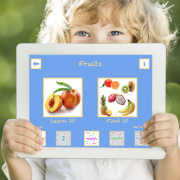 Apps like Find + Learn and Find + Read make learning through repetition fun. Words, with their respective images and narrations, are grouped in themed collections. With a friendly voice – your child is asked to find a particular image or word. Several interactive elements maintain your child’s interest and encourage repeat play which reinforces learning. You can learn more about Find + Learn HERE. You can learn more about Find + Read HERE. 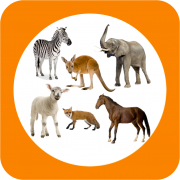 See all of ZurApps apps available in the App Store. Digital device learning, often called 1-to-1 computing or a “smart classroom,” is not some faraway abstraction or revolutionary concept in education. 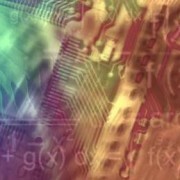 In fact, thanks to grants and state-subsidized funding, an increasing number of school districts nationwide are securing electronic devices such as personal computers, remote accessible software and even handheld tablets for their students from such electronic giants as Hewlett-Packard and Lenovo. Proponents for digital device learning assert that greater access to advancing technology within the education system allows teachers to more fluidly support and satisfy Common Core state standards through engaging digital curriculum, interactive supports and assessments, and an enhanced learning environment for their students. Modern Day “I Spy” with FIND + LEARN! So, pack up the car, download FIND + LEARN and don’t forget your charger! I spy, with my little eyes something that is….FUN! Reducing Math Anxiety: What Can Teachers Do? But what does all this mean for the math classroom? What can teachers do to combat math anxiety, whether or not they have it themselves? Even those suffering from math-related anxieties or phobias cannot escape its everyday presence in their lives. From home to school to work and places in-between, math is everywhere. Whether using measurements in a recipe, or deciding if half a tank of gas will make the destination, we all use math. It is a good idea, therefore, for teachers and parents of reluctant math learners to use real world examples to ignite a spark of practical interest.